Enzymes exist as ensembles of conformations that are important for function. Tuning these populations of conformational states through mutation enables evolution toward novel activity. 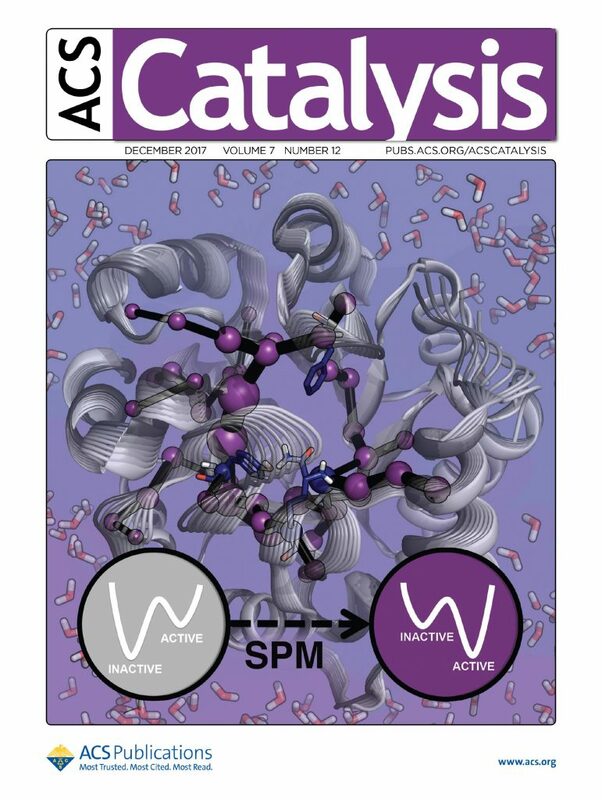 In the paper published in ACS Catalysis, Adrian Romero-Rivera, Marc Garcia-Borràs, and Sílvia Osuna describe a “shortest path map” tool based on inter-residue correlations along microsecond-scale MD simulations that is able to predict which residues distant from the active site may have a large impact on catalytic activity. It is featured as well on the Cover!